This is a bit late coming, but look! 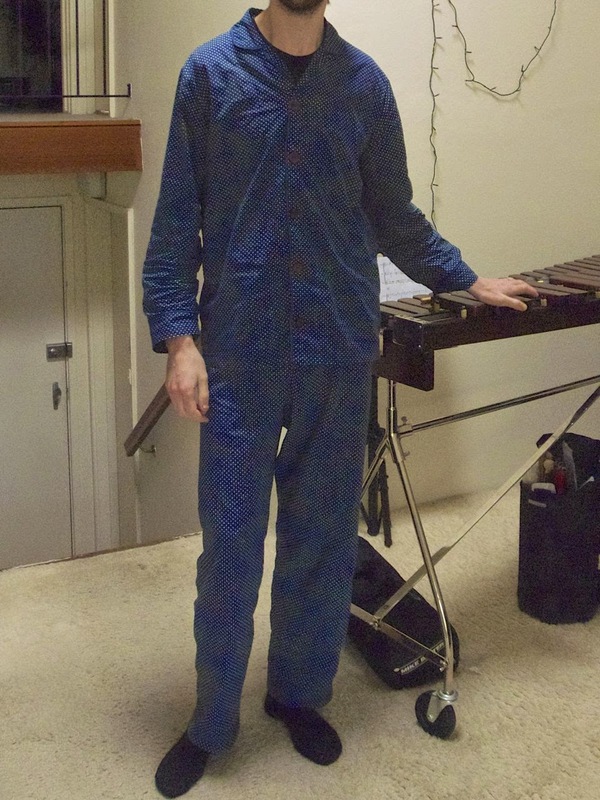 I made Charles some pyjamas! On The Great British Sewing Bee episode about patterned fabric, all the contestants had to make mens pyjamas out of a patterned fabric of their choice. After watching that, Charles demanded a set for himself! 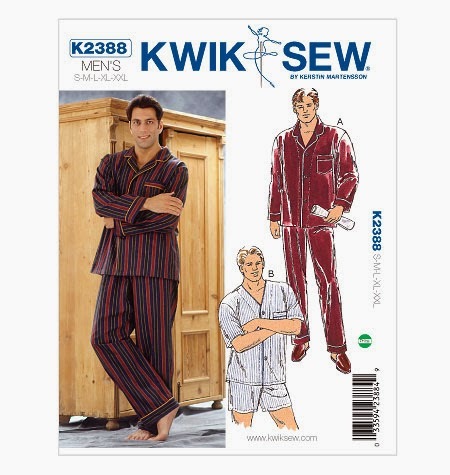 This is the pattern I chose, Kwik Sew K2388. Simple button down shirt with a revere collar and piping, and regular elastic waist pants. I omitted the pocket and the piping on the pants, as well as the drawstring (it's only decorative anyway... although now Charles has to look really hard to figure out which way is the front). A roaring success! 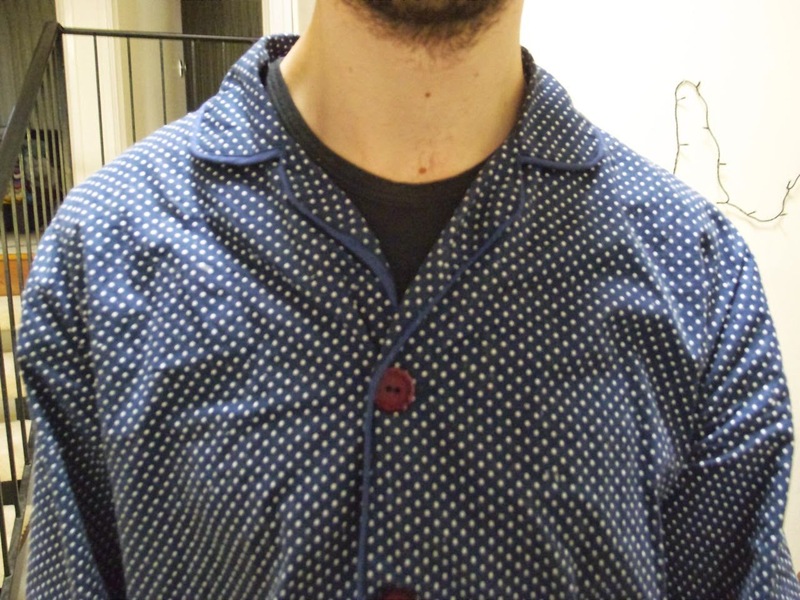 I used navy spotted cotton, which is quite crisp and not what you'd usually use for pyjamas. Charles didn't want flannelette as it's too warm for him. I came across some problems with the fabric as it was super narrow. I needed much more metreage because the pieces wouldn't all fit across the fabric like in the suggested marker. I also had to add a bit on to the end of the pants, but you can't see unless you know about it! This was my first time doing piping and I think it turned out ok! Luckily the seam allowance is only 6mm, which was the same width I needed to sew the piping on correctly. I made the set in the size small, with the length of the size L. Charles is a tall dude! Go you! You did an awesome job of these.